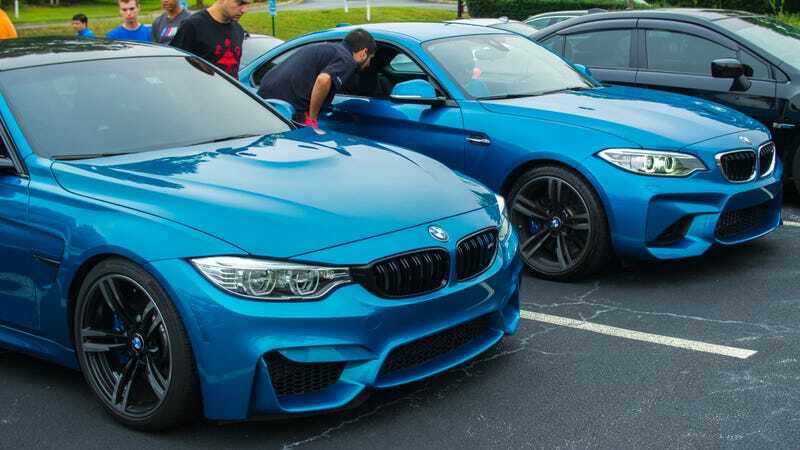 The kids, they sure do like the BMW M2. Considering how popular the car is (and how it’s crazy expensive and hard to buy), it only makes sense that there’s reportedly a more powerful edition looming on the horizon. According to a report (in German) by Bimmer Today, the automaker is planning a 400 horsepower BMW M2 “CS” variant that will borrow the 3.0 liter twin-turbo six-cyliner powerplant from the M3 and M4 (yes, they have different 3.0 liter twin-turbo inline-six engines), and maybe some suspension parts, too. So the M3/M4 engine and suspension in an M2. So, like, an M2.5? M2.9999? Calling the special edition M2 a “CS” and not the usual “CSL” would cut out the “lightweight” moniker. That would probably be accurate if the car is 1. real, and 2. actually getting the M3 parts. Hauling a beefier engine and beefier suspension might not do much for lightening weight. There will also likely be some aerodynamic and styling flourishes. Maybe it will look like that 2002 Hommage concept. Maybe not. I’m just guessing. Either way, more BMW M2 is better for all of us, even if we will likely never get a production drop-top, which would be so easy; like come on, BMW, just put the wind in my hair with the ///M flair already.